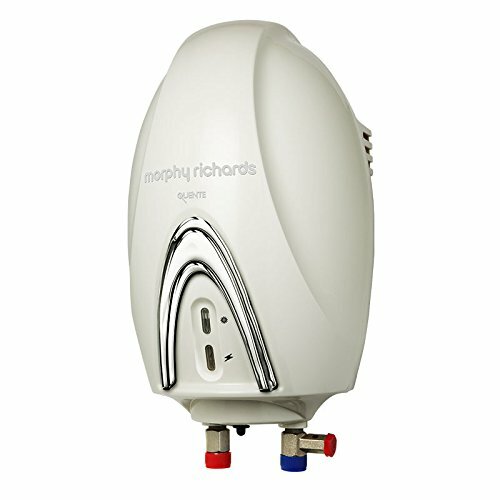 Morphy Richards Quente Instant Water Geyser 3 Litre–3 KW Price, Highlights, Description, Specifications, and Images – If you are thinking to buy a geyser at the lowest price online, of course, you are here at right place. Price of the product in all online stores is given to compare price So that you get the product snartly at the best lowest price online. Highlights, Description, Specifictions, and Images of the product leads you to buy right product with all information about the product. 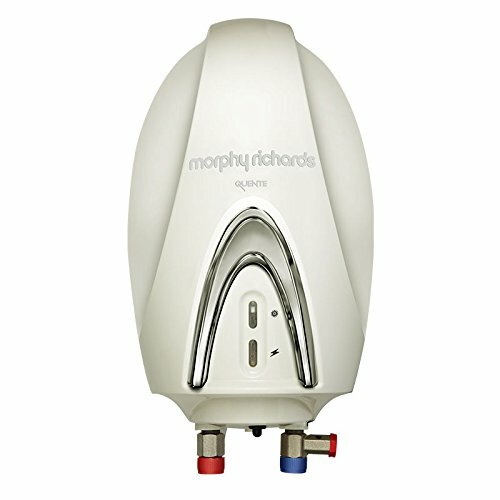 This Morphy Richards Quente Instant Water Geyser 3 Litre–3 KW will heat water in the blink of an eye. Its aesthetically pleasing design will add an elegant touch to your bathroom. You don’t have to wait for too long to enjoy a warm rejuvenating bath in the mornings. 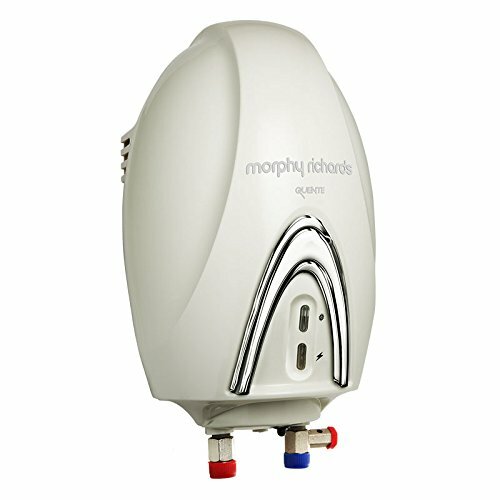 This extremely efficient Morphy Richards Quente Instant Water Geyser 3 Litre–3 KW from Morphy Richards is designed to heat up water instantly. So, go on and enjoy a warm shower on those cold mornings by bringing home this efficient water heater. Get hot water in the blink of an eye with this 230 V AC instant water geyser. Its 3000 W heating element makes it highly efficient and long-lasting. It is designed with a plastic outer body to prevent rusting and corrosion. Not Covered in Warranty Warranty does not cover any external accessories (such as battery, cable, carrying bag), damage caused to the product due to improper installation by customer, normal wear and tear damages caused to the product by accident, lightening, ingress of water, fire, dropping or excessive shock, any damage caused due to tampering of the product by an unauthorised agent.